SkyWay string transport is an energy and transportation communicator of elevated overpass type. It uses electric vehicles on steel wheels riding on specific string rails. The main design differences of this system from other types of railroads of trestle design are pre-stressed tension of the structure, the absence of a continuous solid roadbed, low materials intensity in construction and visual simplicity. The main advantages are economic efficiency, environmental friendliness, durability, reliability, safety and, consequently, high market competitiveness. SkyWay transport is developing in three main areas: high-speed intercity type (up to 500 km/h, and in future, up to 1250 km/h with the transition to a pre-vacuum tube) urban passenger type (up to 150 km/h) and freight type. It has no analogues in its field with the ability to meet the entire range of transportation needs. In future it can be integrated into a unified global energy, information and transportation network, which will allow our civilization to move over to a qualitatively new stage of development. The practical implementation of SkyWay transport systems is under way on-site EcoTechnoPark (on video) – the operating center for innovative developments, demonstration, testing, production, certification and subsequent improvement of SkyWay technology, creation of new generations of transport infrastructure complexes, as well as the development of agroecotechnologies and “Eco-house” technologies. passenger and cargo transportation in a separate space – on the ‘second level’ above the ground. damage caused by transport. In addition, the cost of construction and operation is significantly lower compared to the existing transport solutions. 18 monographs and more than 150 inventions in the spheres of construction, transport, machinebuilding, electronics and chemical industries. The creator of SkyWay and geocosmic transportation systems, as well as a range of transport and infrastructure projects based on string technologies. The leader of two UN projects, the member of the USSR Federation of Cosmonautics. President of the SkyWay Group of Companies. General designer of SkyWay Technologies Co.
SkyWay – the concept of an elevated transport system that has no analogues in the world. 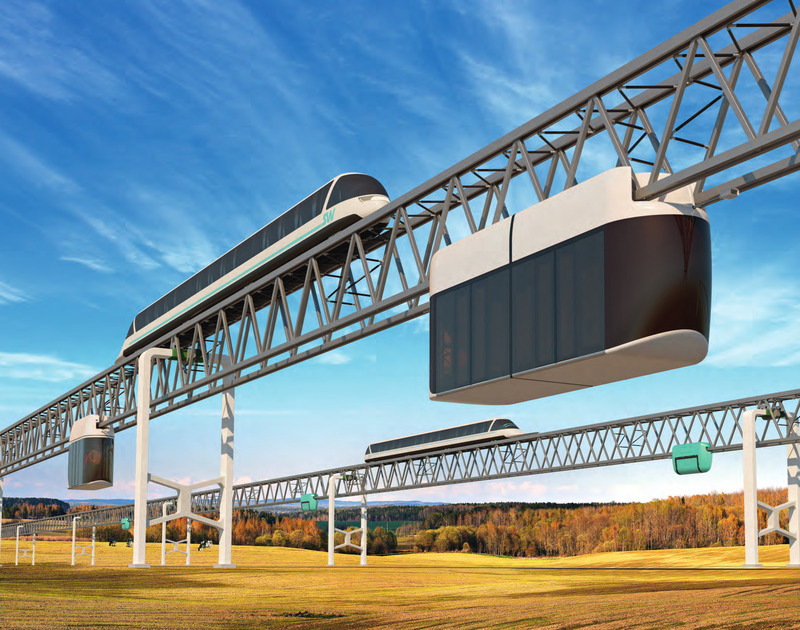 SkyWay – speed, safety, comfort, affordability, cost effectiveness, sustainability. SkyWay – increased social activities for people. SkyWay – the basis for the information, power, transport and communications network of a new generation. It fits harmoniously into the existing infrastructure of any megalopolis. It solves transport problems of large cities by developing a network of high-rise buildings connected with each other by elevated (air) transportation. radioactive and explosive substances, weapons, etc.). How can we do a pilot here in Manila where we have rights-of-way issues?